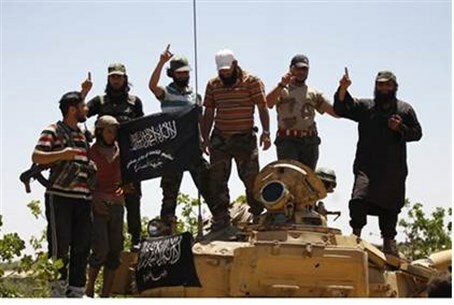 Al-Nusra Front may be responsible for mass kidnapping in Idlib. Islamist fighters on Monday kidnapped some 300 Kurdish civilians at a checkpoint in northwestern Syria, Kurdish officials and a local journalist told AFP. "There were 300 people on five buses, and they were kidnapped in Dana, which is under the control of Islamist factions and Al-Nusra Front," said journalist Ali Abdul Rahman. The PYD officials accused Al-Nusra of being behind the kidnapping, but Abdul Rahman and the Syrian Observatory for Human Rights monitor said it remained unclear which group was responsible. The kidnapping occurred in northwestern Idlib province, where Al-Nusra and its allies wield considerable influence. The Al-Qaeda affiliate helped capture the provincial capital Idlib city on March 28 along with a coalition of other opposition groups. The incident is not the first mass kidnapping in Syria, where large groups of Kurds and Christians have been held, mostly by Al-Nusra's extremist rival, the Islamic State group. ISIS fighters are accused of kidnapping over 200 Assyrian Christians from Hasakeh province, and last year held more than 150 Kurdish schoolchildren kidnapped in Aleppo province. Al-Nusra has also been implicated in kidnappings. It has been accused of holding journalists and aid workers and in 2013 kidnapped a group of 13 nuns who were later released in a prisoner exchange. More than 215,000 people have been killed in Syria since the conflict began in March 2011 with anti-regime protests that spiralled into a bloody civil war after a government crackdown.